In an age where musical artist rely on gimmicks and elementary hooks to sale records, and the thought of having pure talent to entertain an audience is obsolete, here comes an audible breath of fresh air sure to quench your thirst for a singer, songwriter and producer that will seep into your soul…“J-Stylz’. J-Stylz is the future face of R&B/Pop set to raise the bar and change the industry standard for R&B/Pop Music for years to come. J-Stylz was born the last child of 3 female siblings to Arvella & Sherman Tisdale Sr. in Chattanooga Tennessee. J-Stylz’s love for music was recognized by his mother when she noticed the only way 3 year old J-Stylz would remember his telephone number and address is when she sung it to him in the form of a song. By the age of 6 J-Stylz had a love for music although it could not compete with his love for football but his favorite sport had to take a back seat. His parents looked at his vocal ability as a gift so they forced him to join the church choir to show his appreciation to the creator for his musical talent. Being raise in the Baptist church J-Stylz was not allowed to listen to secular music, but his parents knew by singing his praises to God in the church choir would sharpen his vocal ability. J-Stylz’s father moved the family to Charlotte NC when J-Stylz turned 6 in search for a higher quality of life despite the fear of losing his only son to the streets, but by age 10 J-Stylz did the opposite and began playing the piano and drums for “Nations Ford Baptist Church”. At age15 J-Stylz decided to following in the footsteps of his parents who met singing in a gospel group and began singing in several gospel groups around Charlotte. After making a name for him in the local gospel circuit J-Stylz began searching for ways to improve on his sound when he realized that his knowledge of secular music was missing. J-Stylz introduction to secular music came after hearing Tony Thomson on the radio which created a whole new appreciation for music. He quickly gravitated toward a young singer by the Name of Wanye’ of the Philadelphia based group “Boyz 2 Men” who today he still credits as being his biggest influence to date. J-Stylz also began listening to the works of Michael Jackson, Prince, Brian McKnight, Steve Wonder and Elvis Presley. After the tragic loss of his older sister Yolanda, J-Stylz decided to pursue a serious career singing R&B and ended up in Virginia auditioning in front of Teddy Riley to be a part of the second edition of Blackstreet. Teddy quickly took a liking to Stylz and decided to give him the name J-Stylz because of the way he adjusted his singing style to every song, but due to Teddy being called to work on the Michael Jackson album the projects was put on the back burner. 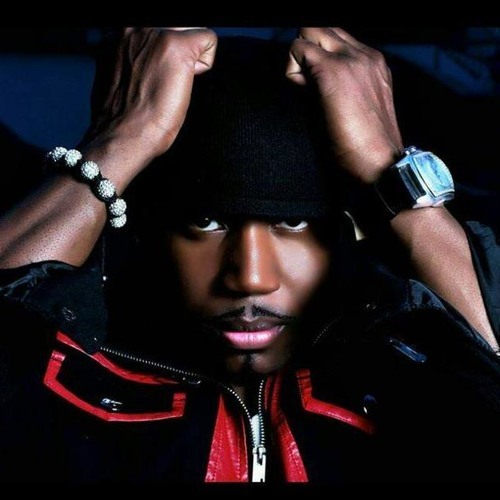 After several years of writing songs for national artist such as, Slim of 112, and Bobby Jones along with producing and singing hooks for up and coming music greats, J-Stylz was summoned by Teddy Riley to finish what they started a few years earlier in V.A. J-Stylz became a part of the infamous Blackstreet and toured the United States and over seas, such as Japan, London, Australia performing along side of Marc Middleton, Eric Williams and Teddy Riley for the first year. The following year J-Stylz took to the stage with Teddy, Chauncey and Quinn. While touring J-Stylz learned from his mentor Teddy Riley and created his own production company “PowerPLUG(MG)- Music Group” in which he uses to assist up and coming artist to develop there sound and prepare them for a career in the music industry. J-Stylz collaborated with Teddy Riley to write and produce the first single for the Japanese based group “Full Of Harmony” who debuted in the top 20 of the pop charts in there native home of Japan. J-Stylz also plans to release his first solo LP ”My Side of the Story” under his PowerPLUG(MG) imprint. Armed with the Lyrical word play equivalent to Jay-Z, the swagger of 2010 Wayne, and the high vocal range of Stevie Wonder, J-Stylz is destined to be a house hold name.